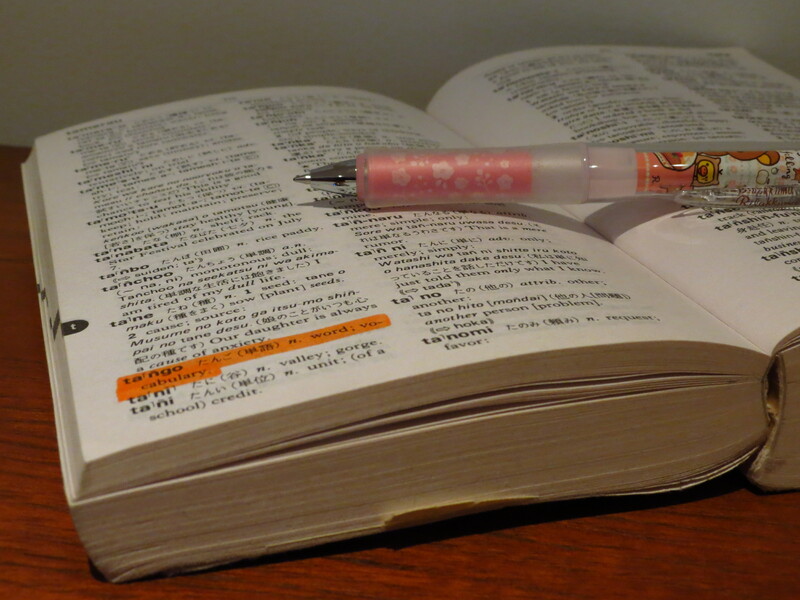 Japan Australia suggested ‘samui’ (寒い), ‘cold’; ‘sayonara’ (さようなら), ‘goodbye’; and ‘sanzan’ (散々 / さんざん), ‘severely’, ‘harshly’, ‘utterly’, ‘terrible’; zoomingjapan suggested ‘sasuga’ (さすが), ‘as one would expect’; and ‘sappari’ (さっぱり), ‘feeling refreshed’ or ‘feeling relieved’; and locksleyu also suggested ‘sanzan’. 猿も木から落ちる (saru mo ki kara ochiru) is one of my favourite proverbs (or ‘kotowaza‘ (諺 / ことわざ), and I’m sure a lot of you have heard this one before. 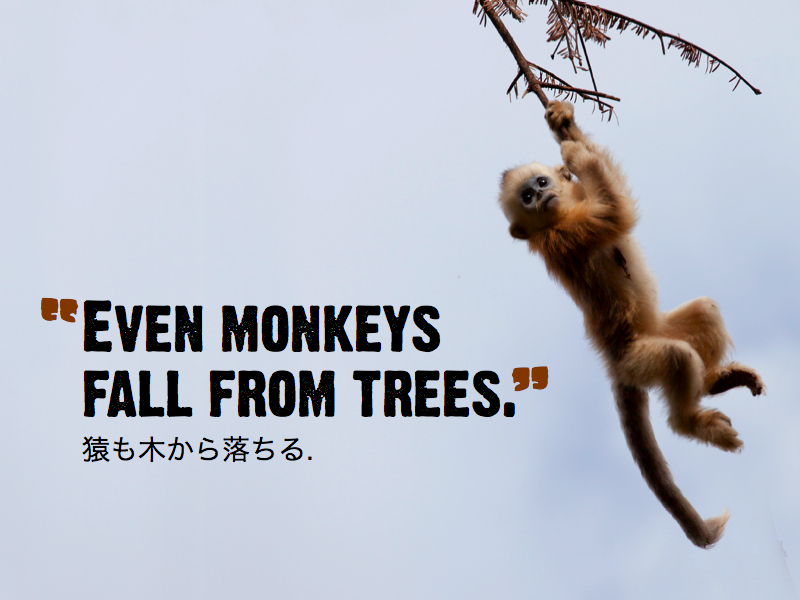 This idiomatic phrase (慣用句 / kanyoku) is literally translated as ‘even monkeys fall from trees’. Of course, the meaning of this is ‘anyone can make a mistake’. The phrase is often used in response to someone who is being overly confident or arrogant, reminding them than ‘pride comes before a fall’. As you can see, it’s quite a simple phrase, and the construction is not too complicated. Only three kanji are used, and I’m sure even most beginner-level Japanese learners will know at least one of them: 木 (ki / tree).